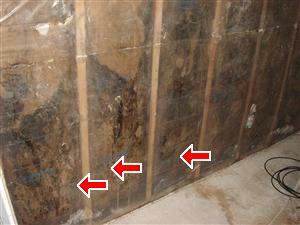 Majority of basement walls are covered in paneling, because of this we were not able to fully inspect all foundation walls at time of inspection. (Picture 1) Siding is loose in gable end on south side of house. 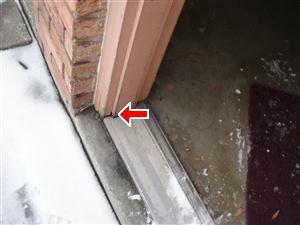 Overhead and side garage entrance door trim show signs of deterioration. Back entrance door and screen are damaged. 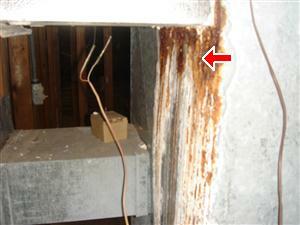 (1) Windows are showing signs of deterioration and need to be maintained or replaced. 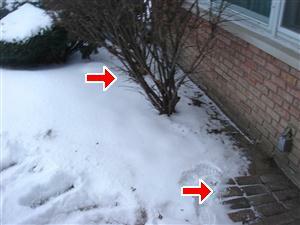 (2) Leafs and debris needs to be removed from basement window wells to allow for proper drainage. 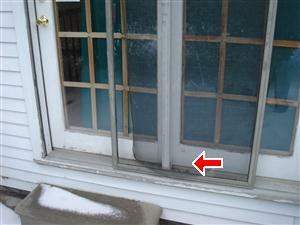 (3) Recommend single pane basement windows be replaced with vinyl replacements or glass block. 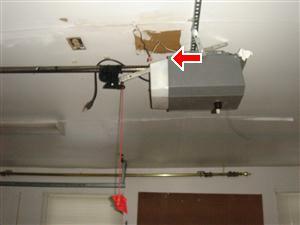 Operator closer arm has been disconnected from overhead door. 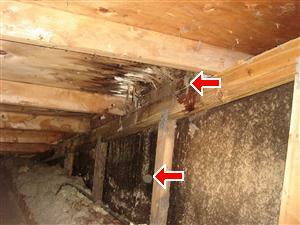 (Picture 1-2) Negative grade found along all sides of house is low and sloping back towards structure. 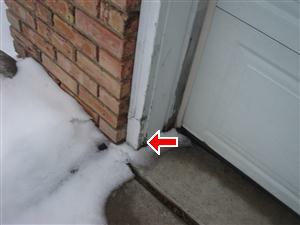 Areas with negative grade should be raised at side of house to help push water away from foundation and prevent water intrusion/deterioration. A half-round window may need to be installed or raised around basement windows or crawlspace vent openings to allow for grade to be raised. The dirt inside well should be replaced with approximately four or more inches of gravel to let water drain from well. A couple of inches clearance between gravel and window or vent openings recommended. 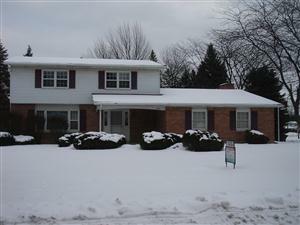 (Picture 1) Fascia is missing form gable end on north side of house. (Picture 1) There is currently more than one layers of roof coverings installed on roof. 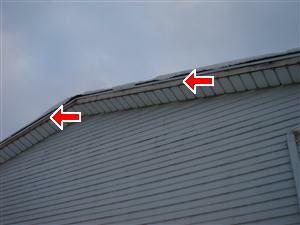 (Picture 1) Flashings at side of chimney are leaking, roof sheathing at this location is rotted and needs to be replaced. 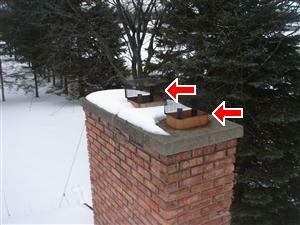 (1) Rain caps with bird screens need to be installed on open chimney flues. 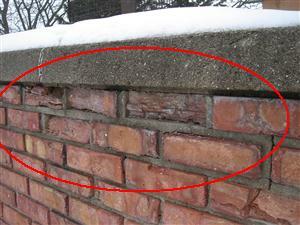 Top chimney wash has several small cracks that need to be sealed to prevent water intrusion and deterioration. (2) (Picture 2) Several brick at top of chimney are spalling and need to be replaced to prevent further deterioration to chimney. 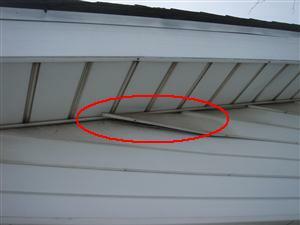 Gutters are full of debris in areas and needs to be cleaned. 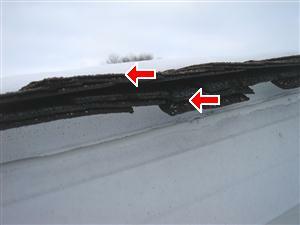 The debris in gutters can also conceal rust, deterioration or leaks that are not visible until cleaned, and I am unable to determine if such conditions exist. 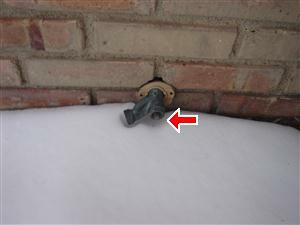 (Picture 1) Handle is missing from hose bib on south side of house. Hot water heater is leaking and needs to be replaced. Unable to fully pressurize hot water distribution system at time of inspection. 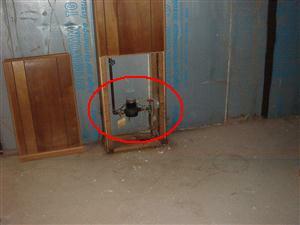 (Picture 1) The main shut off is the knob located on front wall in basement. This is for your information. 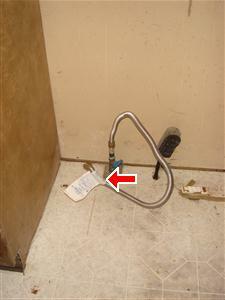 (Picture 1) Gas line at range location needs to be properly capped if not put to use. 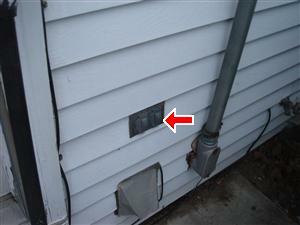 Recommend installing GFCI outlet at exterior/garage locations. Smoke detectors should be installed upon moving into home. (1) No carbon monoxide detected at time of inspection. (2) Recommend furnace be inspected and repaired/replaced as necessary by licensed mechanical contractor. 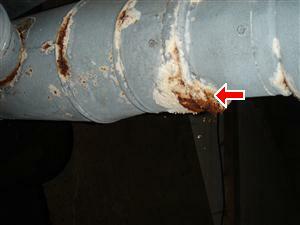 (Picture 1-2) Furnace and hot water heater vent are deteriorated and need to be replaced. 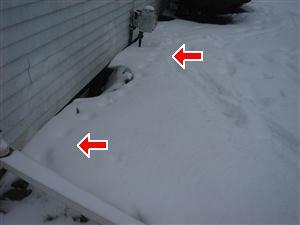 Vent is a long distance from chimney and may not be vented properly. 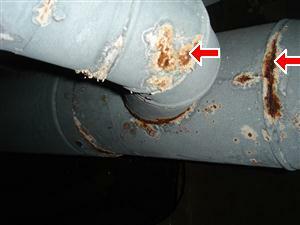 (Picture 1) Humidifier shows signs of past leaking on side of furnace causing rust damage on duct and on bottom of furnace. A/C was not tested for proper operation due to the outside air temperature is 65 degrees or less. We did not inspect this unit (S). 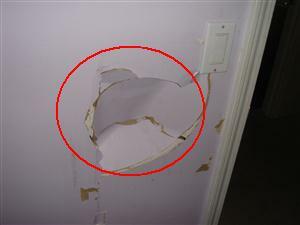 (1) (Picture 1) Upstairs bedroom wall is damaged. 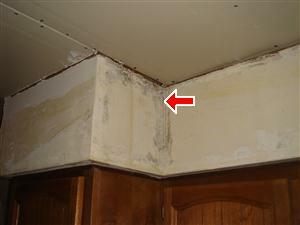 (2) (Picture 2) Kitchen soffit, walls, and hallway walls show some signs of mildew growth may be from increase moisture from past water damage. Mildew growth appears to be on surface of walls in these locations. Ceilings and top sections of walls have been replaced with new drywall in kitchen. 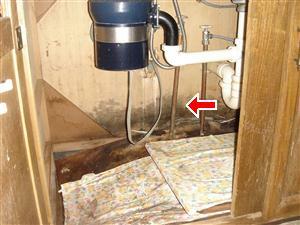 (Picture 3) Wall and kitchen cabinet under kitchen sink show signs of water damage. 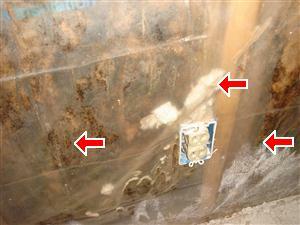 (3) (Picture 4) Insulation on basement walls in north east corner of basement appears to be saturated and shows signs of mildew growth at time of inspection. Recommend insulation be removed. 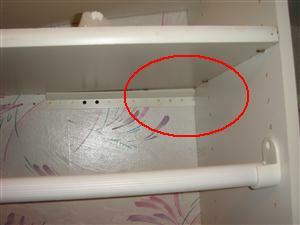 (4) (Picture 6) Upstairs master bedroom closet shelves are not properly secured to walls. 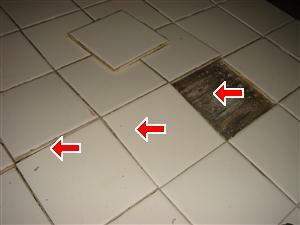 (Picture 1) Tile are loose from kitchen counter tops. (Picture 1) Upstairs bedroom door is damaged and needs to be replaced. 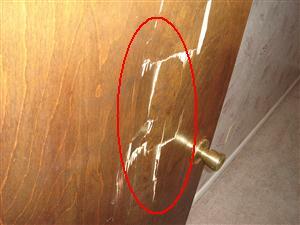 Some upstairs bedroom doors rub on frames and do not close properly. (Picture 1) Recommend adding insulation in attic space, over family room ceiling, so there is 14 or more inches to obtain a R-value of R-42 or greater. When adding insulation be careful to not cover and plug soffit vents with insulation, recommend installing baffles to retain insulation and maintain two inch continuous air space. (1) Recommend adding/installing soffit vents so there is one perforated vent panel for every four non-vented panels. (2) Soffit vents are covered with insulation. 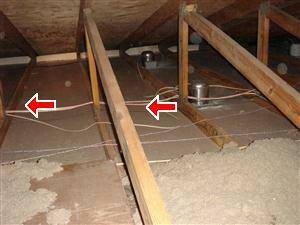 Insulation needs to be pulled back away from vents in attic space to allow vents to properly ventilate. Recommend installing baffles to retain insulation and maintain a two inch continuous air space from soffit to upper roof ventilation. Bathroom vent fan vents into attic space and should be extended to vent to the exterior.